1. The treatment of low back pain that has not improved significantly following six weeks of conservative care. 2. Post-injury pain that has not resolved as the injury healed. 3. Patients with frequent headaches. 4. Patients with herpes zoster (shingles), particularly elderly patients, who are at risk for developing postherpetic neuralgia. Early and aggressive treatment of these painful conditions can lead to dramatic differences in eventual outcomes. It is possible to prevent subacute problems from becoming chronic. In order to obtain quality assessments and treatment, one must turn to top experts in this relatively new medical specialty. 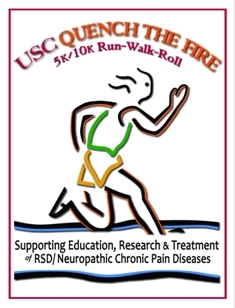 The USC Pain Center has put together an exceptional team of pain specialists who can provide assessment and treatment to patients with complex and refractory pain problems. 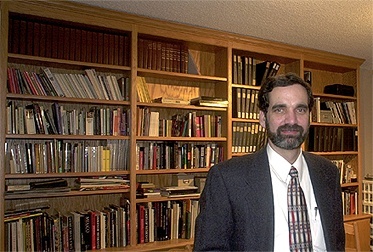 Steven Richeimer, M.D., is the Director of the Center. He has triple board certifications in Psychiatry, Anesthesiology, and Pain Management. He trained at the UCSF, UCLA, and Harvard Medical Schools. Rahki Dayal, M.D., Linda Rever, M.D., Michael Sniderman M.D., and Natalie Strand, M.D., provide treatment for the full spectrum of chronic pain problems. They are board certified in Anesthesiology and Pain Management. Faye Weinstein, Ph.D., is the Psychology Director of the USC Pain Center, and has over 14 years of experience as specialist in pain psychology. She is joined by Susan Axtell, Psy.D. who also specializes in the psychological aspects of treating pain. Other components of the treatment program include specialized occupational therapy and physical therapy. Back pain, neck pain, headaches, musculo-skeletal pain, neuropathic pain (nerve injury pain), complex regional pain syndrome (RSD), postherpetic neuralgia, pelvic pain, and other chronic problems. Industrial injuries, repetitive motion injuries, loss of function and impaired work capacity. Functional impairment due to pain, tumor related pain, opioid unresponsive pain, opioid tolerance or side effects difficulties. At the USC Pain Center, patients undergo a comprehensive assessment process to determine the variables contributing to their pain syndrome. Our focus is on both the physical progress as well as the emotional well-being of the patient. An individualized treatment plan is developed and targeted to the specific problem. Patients participate only in those treatments relevant to their specific problem. At the USC Pain Center, our goal is to provide unequaled patient care. We utilize the most advanced technology for our patient’s physical improvement, but we also work to strengthen our patient’s emotional ability to cope with the sometimes debilitating effects of pain in order that they may return to a fully productive life. With an emphasis on personalized, compassionate, yet cost-effective treatment, progress is closely monitored. Referring physicians continually apprised of progress to ensure a team approach to healing the patient. By providing the right diagnostic insights, comprehensive medical strategies, and new advanced treatments, suffering from pain can be dramatically reduced.